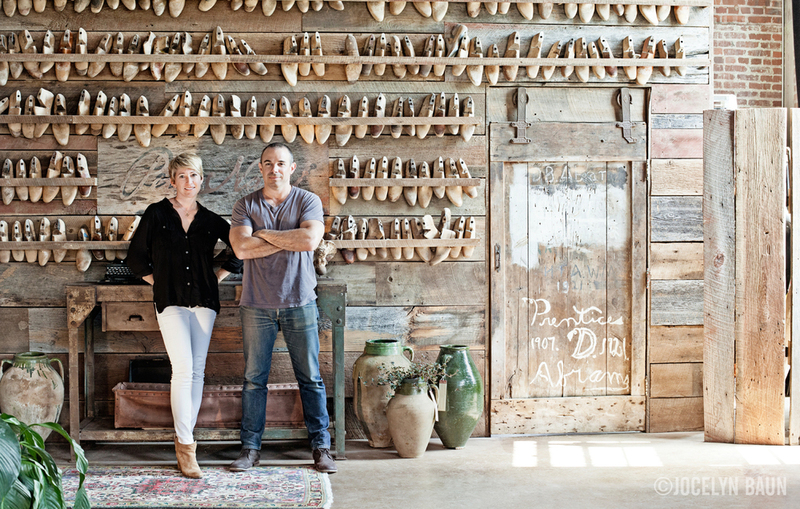 Dana and Phillip Nappi, owners of Peter Nappi. Tucked away at the very end of Monroe St in the East Germantown area of Nashville is Peter Nappi. Named after owner Phillip's shoemaker grandfather, Peter Nappi sells stylish leather boots hand-crafted by Italian artisans. Even if you're not in the market for shoes, pop in to see the showroom, probably one of the most gorgeous I've seen in a while. Housed in a former industrial space, it's a massive open-plan room sectioned off into various areas with comfy club chairs, a mini cafe and concert stage (yes!). The double-height ceilings let in tons of sun which made for supple, soft light when I was shooting. Peter Nappi creates hand-crafted, limited-run leather boots by artisans in Italy. 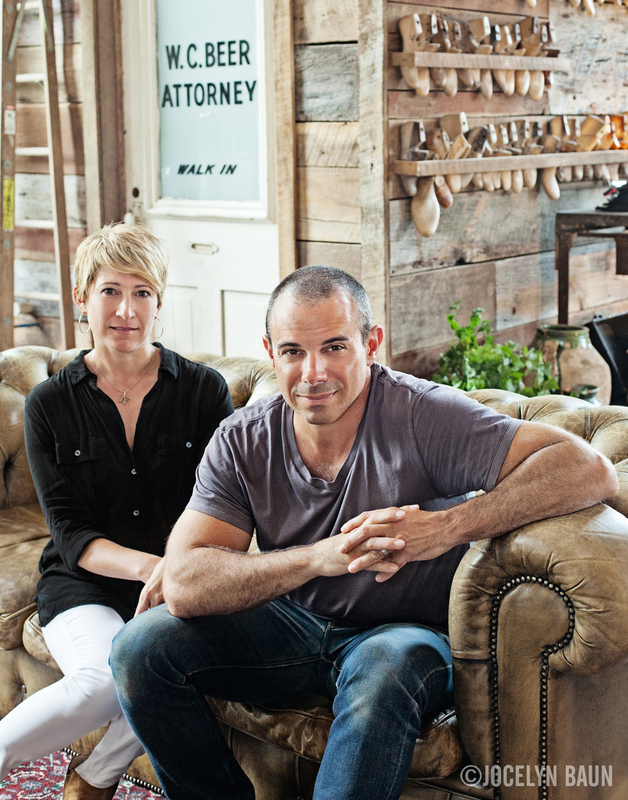 Here's a second portrait I created of Phillip with his wife and business-partner, Dana, right by the entrance. Look how much sunlight pours in! And check out the wooden shoe molds on the wall.